View our standard pricing for email & landing page design & coding service. Our wallet model model provide you ease of payment and order processing. With our dedicated developer model you can hire email html developers to ease your process. ESPs love the holy Monks! Take a look at our interactive email advancement infographic & experience it in your inbox. Check out our email inspiration library. February 18, 2016 | -by: Kevin George. 2015 was a great year for email marketers as ample big things took place last year. We got to know that 75% of the consumers like to be contacted via email. That said; email marketing is the core of several businesses due to its highest ROI compared to other digital marketing channels. The introduction of Outlook app for iOS, Outlook 2016, Apple Watch, etc. Google’s launch of Gmail postmaster tools, etc. The Litmus State of Email Report 2016 uncovered the major innovations that took place in 2015. 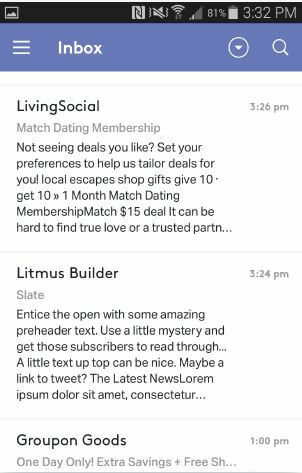 As mentioned above, the launch of Outlook app for Android and iOS changed the way we look at the emails. Now, Outlook app has become one of the core tools to complete the task. Whether it’s about emails, calendar, contacts, or files everything has become manageable for on the go users. Similarly, for the emails, Outlook has two categories for emails; Focused Inbox and Other. Outlook gradually learns with whom consumers are frequently communicating, and adds those email addresses to the focused inbox for instant access. Also, this app allows the emails to display the preview text along with the sender’s name. Thus, it is crucial to use real email addresses to boost open rates and shares. Another benefit of this app is that it allows all the images to load automatically and display – unlike its desktop version. The Apple Watch was launched last year and made email marketers create emails that can be displayed over this wearable device. 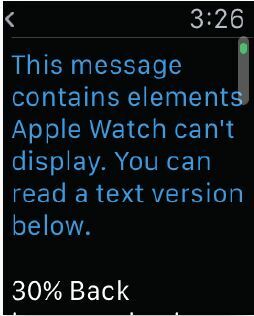 Apple Watch allows the emails to only display the text, but if your email contains images or links then the reader will view that email on his/her iPhone. The addition of Apple Watch to the industry made the existence of plain text stronger. Thus, it has become vital to not only send multi-part mime emails that contain plain text alternative, but also optimize the email for wearable devices. Because the Apple Watch comes with 38mm screen, it has the limitation to display other formatting tricks, extra space, special characters, etc. Last year AOL was reintroduced as Alto app that aimed to provide solution to multiple inboxes. The Alto app allows users to add multiple accounts and view all the emails in one inbox and it happens to support all free email clients. Alto also provides the pinch and zoom facility which permits a user to expand the email within their email list. The pinch and zoom facility is also a great opportunity for email marketers to smartly customize the preview text. However, there are a few drawbacks present. Just like the iOS, Alto app too links the dates, contacts, and locations to the email. Also, it isn’t a great supporter of interactive emails and blocks images by default; thus, be ensured to use fallbacks, ALT texts, colorful pixel art etc. 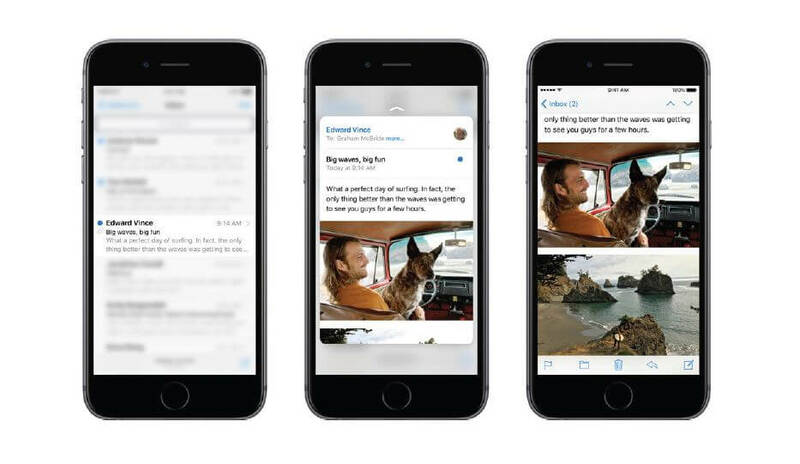 With the launch of iOS 9 we got to know about its two new features that are peek and pop. These features come within iPhone 6s and 6s Plus. 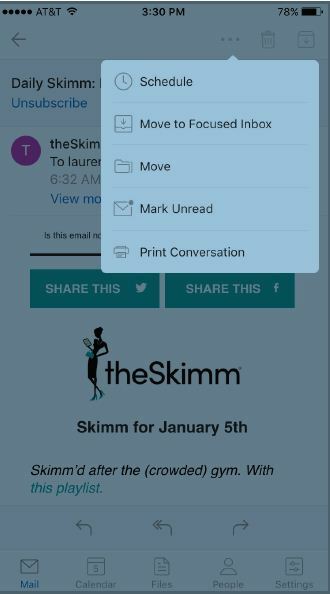 The peek feature lets a user view what’s inside the email without opening it and loads the images as well. The pop feature on the other hand allow the subscriber to view the whole email. Even though, the consumers don’t view the complete email through peak feature, it is counted as an opened email. Because the consumers aren’t really opening the emails, the engagement rates will ultimately decrease. Thus, revamping the content, revising the view for on the go users, etc. can be considered. iOS 9 also supports responsive images in a better way and display the images according to the screen sizes and it also includes the advanced CSS support. As said, 2015 brought a lot of hopes for email marketers with the launch of several apps and support for CSS & responsive images. It taught a lot to the industry (personalization, relevancy, spam, single opt-ins, etc.) and also what consumers do and don’t like. As 2015 ends and 2016 begins let’s vow to send more relevant and divine emails to attain email nirvana. To know more, click here and view the complete email report by Litmus. Kevin is the Head of Marketing at EmailMonks, one of the fastest growing email design and coding companies. He loves gadgets, bikes, jazz, and breathes ‘email marketing’. He is a brand magician who loves to engage, share insights with fellow marketers, and enjoys sharing his thoughts on the latest email marketing best practices at EmailMonks Blog. Need help with complete email campaign services from Email Design, Coding to Deployment? Monks can help! Thank you. One of our Monks will contact you within 6 business hours.